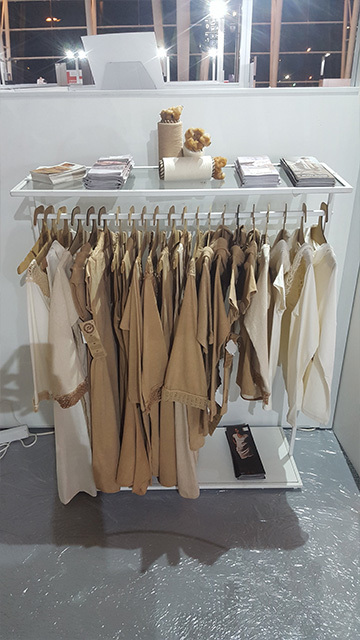 The Natural Cotton Color Group, based in João Pessoa-PB, Northeast Brazil, exhibited clothing and accessories produced in colored cotton organic in the hall MODTíssimo, on 21 and 22 February, in Porto, Portugal. 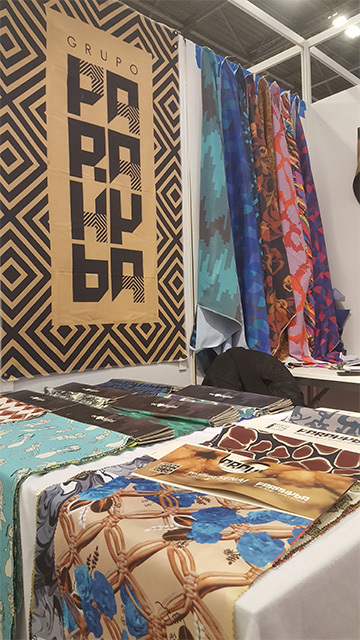 During the event were presented creations in sustainable fashion whose production are made with yarns, knits and flat cotton fabrics whose design is associated with handmade seam. In the production chain are farmers, artisans, seamstresses, designers and private and public institutions – from the textile industry to the export promotion. 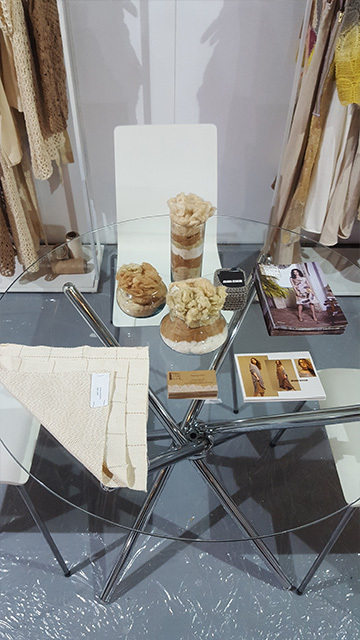 Organic colored cotton caught the attention in MODTíssimo, fashion show in Portugal focusing on the presentation of fabrics innovative and technological. Organic colored cotton is a raw material developed in the Paraíba. There were two decades of research with natural species to generate the plumage that is already born with color (among the go from beige to brown). The culture of this cotton is the miracle of semi-arid region where the level of rainfall is very low. Therefore, that the crop is not irrigated, cotton blossoms and generates income for workers who grow the plant in a family farming system moving the Creative Economy linked to sustainable fashion. According to studies, colored cotton generates 87.5% impact in water savings when compared to cotton garments dyed by industry. At the booth were exhibited clothing and accessories of the group. 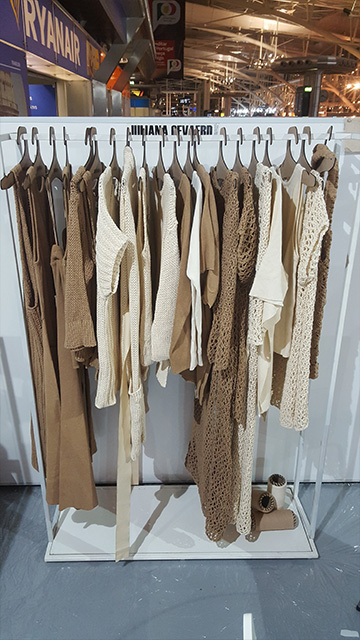 Natural Cotton Color has presented prêt-à-porter collections in female, male and child categories, as well as pieces from the Capsule 2018. Francisca Vieira, CEO of the brand, reveals that she was in Portugal through invitation of Manuel Serrão, general director of the hall MODTíssimo, and support of the institutions involved in the Local Productive Arrangement of Paraíba. “Serrão visited the state and was surprised with our cotton. He invited us to the fashion show. Our enthusiasm was immediate information on the show of innovative fabrics. We are happy with the receptivity of the public that was there all the time interested in knowing more about organic colored cotton, ” she said. 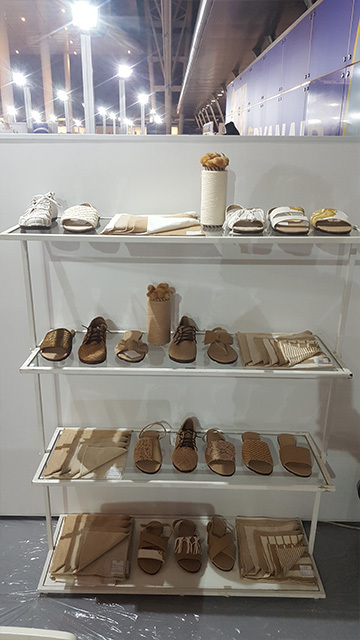 At the event, the brand also launched footwear developed with the ecological cotton and customized with handmade details with lace of the renaissance type and fillet, besides macramê. 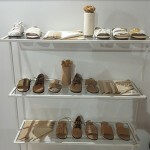 The soles, recycled, were produced from industrial waste. 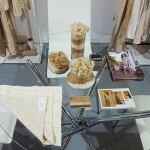 The partner brand JulianaGevaerd_Bio also presented its creations at the Natural Cotton Color booth. Displayed collection female knitting machine. The semi work craftsmanship is done on looms that require technical and manual mastery. Are several points in varied textures demonstrating the versatility of the organic thread. The designer saw on colored cotton the possibility of combine the drawing of broad forms and fluid and timeless concepts of its parts with the ecological raw material and, thus, to create clothes that are distinguished by the diversity of plots in varied thicknesses. Natural Cotton Color is focused on a fashion market engaged in the Conscious consumption linked to respect for workers and the environment environment. 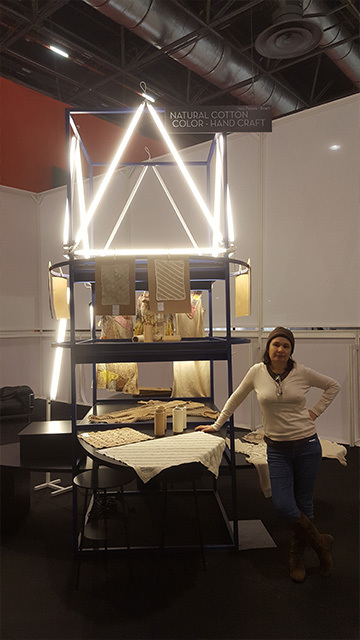 “Several professionals are mobilized for the cause of cotton organic, “says Francisca, who is always renovating the collection and inviting other creatives to expand the supply of fashion products sustainable development.